Moving to Canada can be a good decision, provided the right preparations for relocation are made. It is never easy to move to a new place, especially a new country where new laws, a new culture and an entirely new environment all require adjustments in most aspects of life. Canada is an increasingly attractive expat destination, admitting a record-high 280,600 migrants in 2010 alone. Canada is the second largest country in the world, after Russia. Through the years, it has emerged as one of the wealthiest and most highly developed nations in the world, a factor that attracts expats moving to the country. Canada's authenticity in embracing multiculturalism builds lasting relationships between Canadians and expats, foreigners and different ethnic and religious groups. The belief in the equality of all citizens makes the country diverse and healthy, attracting immigrants to Canada. Canada also serves as the largest trading partner of the United States and vice versa. The country is run by a parliamentarian system. 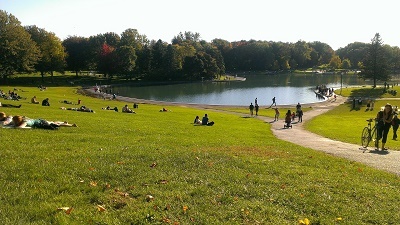 The country's capital, Ottawa, is one of the greenest capitals in the world. It is also known to be an affordable city. Ottawa is ranked 18th of 200 in a study by Mercer Human Resources International for the best quality of life throughout the world. Elegance combined with relaxation makes this cosmopolitan city appealing to both its residents and expats. As for the other cities in Canada, Toronto has been crowned as the party capital with its top-notch attractions. 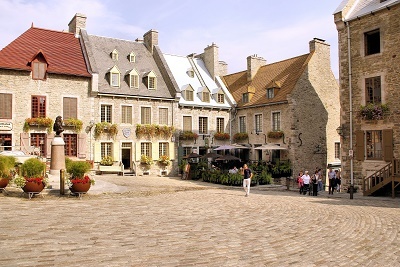 It is the largest and most populated city in Canada followed by Montreal and Vancouver. Undeniably, Vancouver will satisfy your craving for shopping or any out of town trips. A glimpse of the city reveals its cultural diversity ranging from its shopping malls to restaurants and pubs. Canada's population growth is slow but considerably more competitive than in most industrialised countries. The fertility rate rose to 1.59 in 2006 from 1.54 in 2005. According to Statistics Canada, the population of the country is estimated to be 35,702,700 as of January 1, 2015. This population growth increase is mainly due to immigration. Potential residents and expats should expect to live in a diverse society. The government understands the challenges of settling into a new home. As such migrants, expats and visitors can access Canada’s government website for assistance. Expats will also need to apply for a Social Insurance Number (SIN), to apply for a bank account and establish your credit before working. You can go to the nearest Service Canada Centre or visit Canada’s Service Centre website. English and French are the two official languages in the country. English is most prevalent except for in the province of Quebec. The currency is the Canadian Dollar C$ or CAD. With the influx of immigrants, many will agree that the Canadian Dream is on a par with the American Dream. To apply for citizenship, you have to live for three years (1095 days) during a four-year period in Canada before applying. Proficiency in French or English is an essential requirement to apply for citizenship. Next to Russia, Canada is the second biggest country in the world with a total population of 36.2 million people. Aside from participating in one of the most dynamic economies in the world, expats relocating to this nation will also have the chance to experience an excellent quality of life, reliable healthcare and world-class education while being surrounded by vast natural beauty. Canada is a massive country divided into ten provinces and three territories which will make the search for housing a bit daunting for first-time expats. Aside from that, another factor expats must know is that Canada has a federal government where each territory and province has different laws. For example, regulations for education, health care and housing in Vancouver are not the same as those in Ottawa or Quebec so expats must research about their particular destination in Canada to avoid confusion. With so many things to take care when relocating, here are some tips that can significantly help secure a smooth transition to The Great White North. Expats who are relocating without housing assistance from their employers should begin their search even before arriving in Canada to have an idea on how much to prepare for the rental. It is best to look for accommodation both in the city centre and surrounding cities to get a better view of the prices. Another factor that concerns preparing finances before relocating is the cost of utilities which is seldom included in the rental price. Those who want a hassle free moving process can hire the service of international movers where the company will take care of packing, shipping and delivery. Containers travelling by sea will arrive at the Port of Winnipeg nine 27 to 36 days. Once the packages are unloaded, local customs officers will conduct an inspection so expats must be aware of the Canadian household goods import regulations. Canada is a highly globalised country whose economy is ranked as the eleventh largest in the world. But aside from its outstanding financial reputation, Canada is also famous for its breathtaking geographical beauty, diverse culture and rich traditions. Expats who are moving to Canada will be exhilarated to know that their new host country has consistently been on the list of United Nation’s top ten most liveable places on earth. The locals enjoy an excellent quality of life, thriving employment opportunities and high level of security. Those factors are just some of the many reasons why many foreign nationals travel far and wide just start a new life in this country. Here is a glimpse of what to look forward to the prosperous land of Canada. There is no shortage of scenic attractions to visit in Canada during weekends or holidays. The top on the list is the picture-perfect 167 ft Niagara Falls that is located at the border of the United States and Canada. The Peak 2 Peak Gondola in British Columbia is the place to be for adrenaline junkies who are looking for extreme skiing and snowboarding activities. 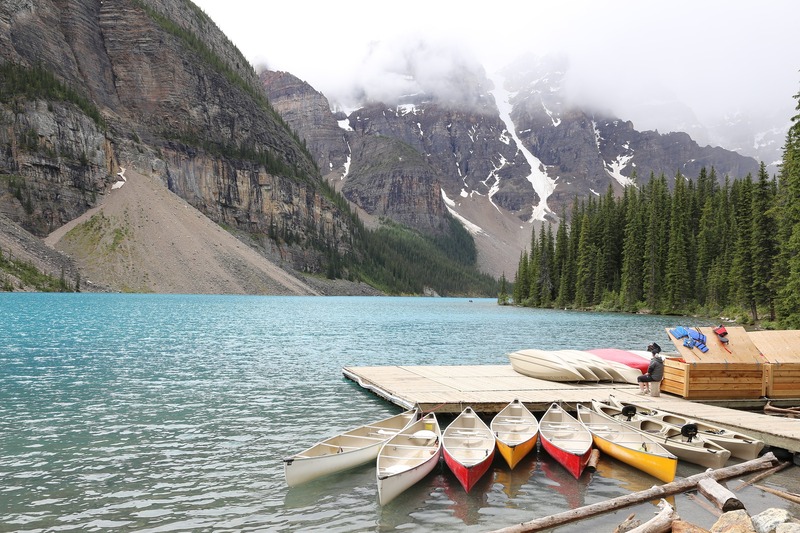 There is also the Moraine Lake in Alberta where expats who love outdoors can enjoy the presence of nature while being surrounded by the Canadian Rocky Mountains. And of course, for those who are looking for the nightlife, Montreal is the perfect spot where jazz clubs, bars, and excellent beer are abundant. Knowing the local food of a specific country abroad is vital when it comes to adjusting to the new environment. For example, Asians love to eat rice while Americans are more of ‘mashed-potato’ lovers. Dining is a custom that is practised not just in a family or social gatherings but also in the corporate world. Though every region has a variety of signature dishes, traditional Canadian food is strongly influenced by the French cuisine especially in the areas of New Brunswick, Northern Ontario and Southern Quebec. There is also the Canadian-Chinese Cuisine that started dominating the tables of the locals in the 1870s. The regions of Vancouver and Gastown are known for being the home of several Chinese Buffets where sumptuous dim sums are served. Toronto has been influenced by the Vietnamese and Italian food traditions whereas pasta, pizzas and herbed oil are commonly used in their dishes. After the excitement of dining out wears off, expats in Canada will find themselves in search for the source of their daily necessities such as food. There are three major supermarkets in the country that foreign assignees can purchase various types products. The leading one is Loblaws which has over 2,000 branches nationwide followed by Sobeys that operate through over 260 stores then lastly is Metro with 750 branches all over Canada. These retailers shelf a variety of local and imported products to cater to the needs of the country’s growing expat communities. Farmers markets are the trend in Canada nowadays where people travel from region to region just to get hold of their famous fresh produce. There is the Marche du Vieux-Port in Quebec where authentic local foods such as pâtés, ciders, maple syrups and bacon are sold. Another most visit market is the Evergreen Brick Works Farmers’ Market in Toronto that opens from May to November and is a haven for people who love organic products.